With the company facing billions of dollars in liabilities for involvement in California wildfires, PG&E filed for Chapter 11 bankruptcy last month. PG&E has since been criticized over plans to compensate its employees before providing compensation to victims of the wildfires that PG&E equipment caused or is suspected of causing. The company had already decided it would not award bonuses to any of its top executives this year. Then on Friday, interim CEO John Simon announced in an internal message that PG&E would not award any of the planned $130 million in 2018 performance bonuses that thousands of employees had earned. PG&E previously told the bankruptcy court that about 14,000 employees were eligible for the bonuses, which were set to be awarded next month. The company decided, though, the bonus payments were inappropriate because of PG&E’s financial situation and the destruction caused by recent wildfires. However, PG&E employees could soon receive ongoing bonuses for their performance in 2019 and beyond. PG&E is seeking to institute a new kind of program for 2019 that could give employees incentive awards as soon as April, Simon said. Simon said the decision to revoke the 2018 bonuses was immensely difficult and his view on the matter evolved over time. “The more I stepped back and thought about the impacts the wildfires have had on so many people outside our company, regardless of fault, the more I came to believe paying (performance bonuses) in 2018 was not the right thing to do,” Simon said in the internal email. 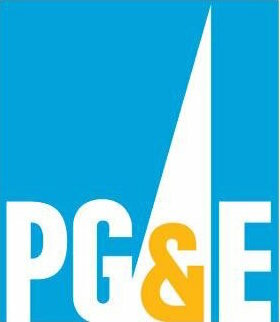 Simon also said PG&E executives and board members decided to revoke the 2018 bonuses because awarding them would, in effect, put senior company leaders at the front of the line for bonus payments ahead of thousands of people who have claims against the utility and creditors who are currently not being paid and must await resolution of the bankruptcy process. The interim CEO noted in his email that the company has lost half of its market value, which has cost investors more than $10 billion. At least one union has reacted angrily to PG&E’s decision to cancel bonuses. John Mader, the president of the Engineers and Scientists of California Local 20, IFPTE, which represents 3,700 professional and technical PG&E employees, about 1,200 of whom are eligible for short-term incentive payments, said his union is very upset. “I just don’t see how it’s constructive to confiscate employee compensation, especially the people… who try and prevent these kinds of tragedies,” Mader said. Mader said the employees affected by the decision to revoke bonuses did not make decisions that led to recent wildfires. The union president also said he is worried bonus payments will be reduced in bankruptcy. Meanwhile, Jamie Court, president of the nonprofit Consumer Watchdog, said PG&E’s decision to take away bonuses was the least the company could do considering that fire victims are not getting paid. In March, PG&E will ask the bankruptcy judge to approve bonuses going forward in 2019, if benchmarks are met. Employees could potentially receive bonuses in April, July, October and January, Simon said. The bonuses would be based 50 percent on safety, 40 percent on financial stewardship and 10 percent on customer related measures. Additionally, PG&E will offer merit raises above base pay in March, Simon said. The more acreage they burn, the higher their bonuses are, right? So the company sets metrics for employee performance. The employees meet or exceed the metrics for 2018, the company declares BK in 2019 due, seemingly due to exec malfeasance, and the employees get a slap in the face. This is one of the times I think the union has a point. Wonder when Harmon will ask residents to Boycott PG&E. I recon Harmon and her goons produce enough hot air to run a steam generating plant that could power their town. No need to – already driven them out of town with Diablo closing. Mission Accomplished as GW woukd say. Maybe PG&E should have made the announcement of no bonuses before they paid their CEO, Geisha Williams who ran them into this mess, $2.5 million on her way out the door. Join the discussion…Surely you know by now, that that is not how things work in big business and in governments. Really! Then why did the Superintendent at Paso Robles get paid off along with the former bar dancer who played the role of police chief? And then the ones that no one knows about. I wonder if this has to do with lost revenue due to the legalization of cannabis, small home growers paying top dollar for power shutting down as big capital consolidates the market. Don’t worry PG&E will not suffer through this or will they never keep getting bonuses and/or pay raises. The victims will, once again, be the rate payers. It’s also interesting how all of a sudden PG&E is having all of these outages. Most likely a ploy to cry about a rate increase to take care of their deficiencies. Let’s wait and see but I’m guessing the rate payers will get their bills for the damage they have done. Bingo! The rate payers will pay for this mess. Nothing could be more guaranteed than that.